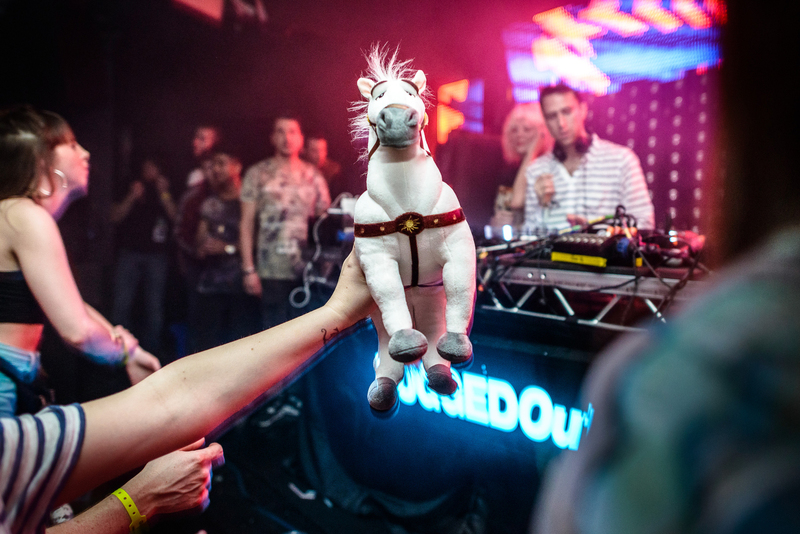 There was always going to be something very different about this instalment of the now annual Bugged Out Weekender. 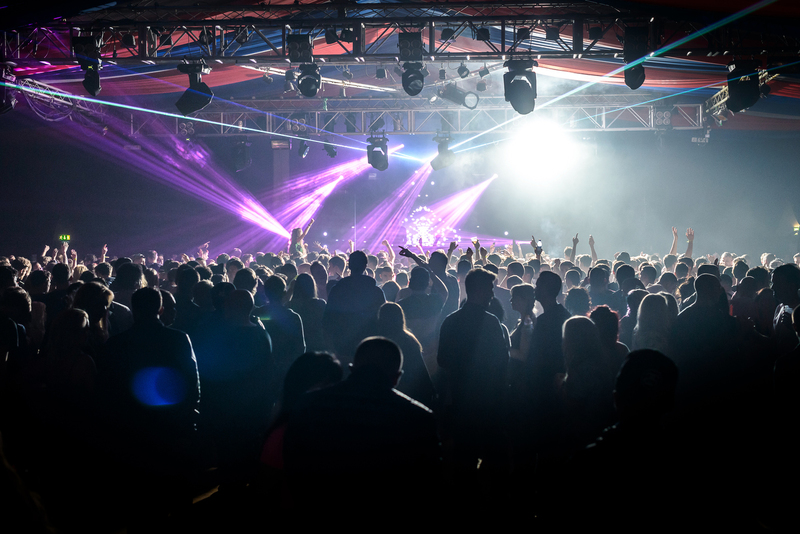 Relocating to Southport in the clubbing institution’s formative region of North West England, and forsaking the brainchild of Billy Butlin for that of Fred Pontin, the line up also boasted more decade-spanning names than 2013’s Bognor Regis bash, with the emphasis falling on a heavier end of the dance spectrum. In the end those weren’t the only changes in place, with the in-chalet self-top-up electricity meter catching us unaware upon arrival. Thankfully, a short fumble around in the dark later- during which we almost broke everything within reach- and eventually the lights came on, meaning confusion and fear were quickly replaced by anticipation as to what was about to happen. Namely a three day rave headlined by accomplished fresh talent and downright legends of the scene. To say it went off would be something of an understatement. Of course the triple-header wasn’t without issues, but then nothing is ever perfect. As such, disregarding the disproportionately long bar queues, the shameful rudeness a few understandably frustrated patrons showed towards those serving said drinks, and a couple of over-zealous male bouncers with a penchant for men’s pants, by the time Plain & Simple made it back to HQ bleary eyed, slightly confused and exhausted we were far from disappointed. Thoughts now gathered as best they can be, we decided to note down some of the biggest highlights from the session, so take a look below for our Top 5. Combining an esteemed member of the old guard with a deservingly risen contemporary, this back-to-back had us excited the moment it was announced. After all, Avery’s sensational LP, Drone Logic, made it onto our 13 albums to hear from 2013 list, and the sound therein, along with that of his FabricLive mix, betrays a few similarities compared with some of Andrew Weatherall’s legendary track selections. Reassuringly having the pair close Room Two via a three-hour set was exactly the pleasure it should have been; a showcase of dirty, dark electro-techno that we’d listen to again in a heartbeat. At any festival the final day is a real endurance test. Tired legs, sensitive heads and the underlying feeling of nausea that follows 48 hours of debauchery doesn’t bode well for more beer and dancing. Nevertheless, in this instance it wasn’t difficult to find renewed party feet with the most frantic but friendly ambience of the weekend tangible in Room Two on Sunday night. Boddika’s militant stompers, Joy Orbison’s tough soul, Carl Craig’s Detroit refinement (here in notably muscular form) and Dave Clarke paying homage to Bugged Out!’s long history of energy-packed, acidic party techno all kept us locked in. Meanwhile, someone holding up a small stuffed horse down near the front gave us something to stare at. Currently riding high in the popularity stakes but boasting the kind of industry status reserved for the bona fide electronic establishment, Paul Woolford was always going to be a priority in the main room. The perfect blend of big stage four fours, garage-infused rollers and nu-school rhythms to transfer us from evening warm up to full on post-midnight hedonism, this marriage of sincerity with a little something for all ears (or most, at least) proved impossible to resist and, as with many things over the three days, sounded imposing on the rig being used (a nod to those behind the mixing desks on that note). A regular on Bugged Out! bills for countless years now, and a chap who packs more personality into his sets than a character-actor mid-monologue, Green Velvet- the neon-haired electronic enigma responsible for tracks like Flash and La La Land (not to mention productions under alter-ego, Cajmere)- delivered proper headline-quality stuff in his performance. Jacking, driving and filthy as hell, we apologise to anyone in our vicinity at the time for all those expletives. When the news broke that arguably the biggest UK Garage DJ of all time would be playing in the Pontins pub murmurs of discontent could be heard across the digital world. 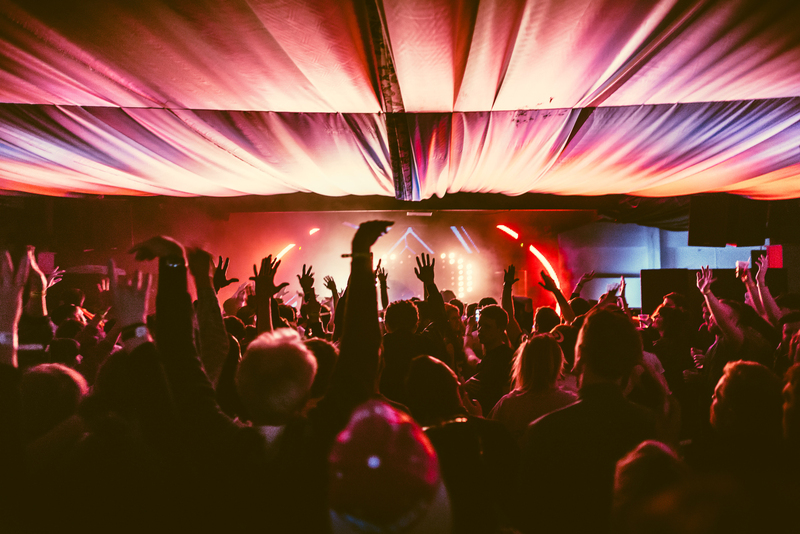 Actually the venue added an air of circus like surrealism as the place took on the feeling of a clown car; just how many enthusiastic revellers can they squeeze onto a dancefloor the size of a generously proportioned front room? We managed to jostle our way inside for a quick pit stop, and were confronted by what is best described as two-step fuelled mayhem- hands in the air, voices singing in unison. Love or hate the sound, the atmosphere was electric.